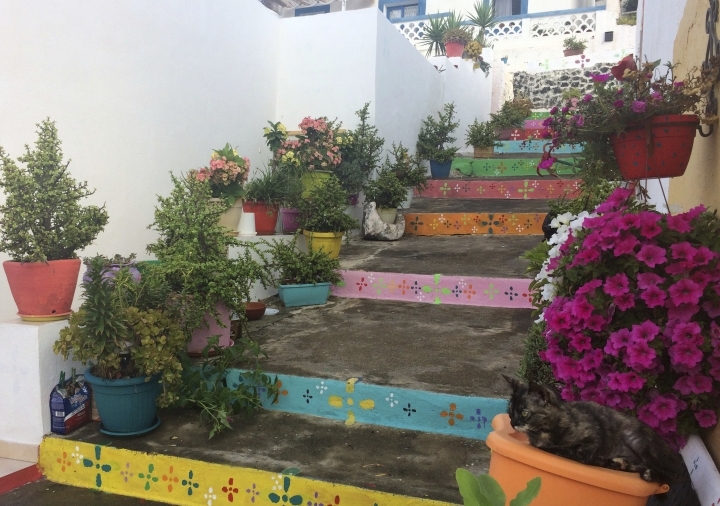 LINOSA ISLAND, Italy — There are no hotels, but islanders open up their simple, gaily painted homes to those seeking relaxed rhythms. No banks either, but there's not a lot money can buy here. The sole souvenir shop has a few knickknacks. Costs are modest for meals made from local ingredients — lentils, eggplant, peppers perhaps, plus the catch of the day from the emerald-hued, pristine waters surrounding tiny Linosa island. 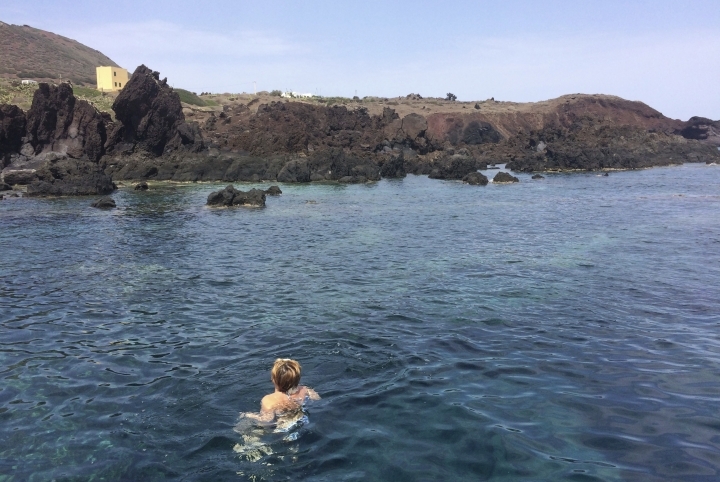 To enjoy Linosa's charms, either you take a long ride by ferry, or, if waters are calm, an infrequent hydrofoil from the nondescript Sicilian port town of Porto Empedocle. Or you make a shorter sea journey from Lampedusa, the only other inhabited island in the Pelagie Archipelago, closer to northern Africa than to Sicily. On any given day during "high" season in July and August, there are at most about 50 holiday-goers who spend a few days or so. In September, there were some 20 of us, several of us solitary travelers. With the exception of a French couple and myself, all were Italians. In early morning — afternoon temperatures in one of Italy's hottest places can climb into the 90s in Fahrenheit (in the low to mid 30s in Celsius) and feel like 115 or higher — Linosani come out to sweep the tiled sidewalks and water potted plants, including hibiscus that grow as tall as trees. With the cool of the evening, Linosani emerge again, parking kitchen chairs outside homes to chat with neighbors. 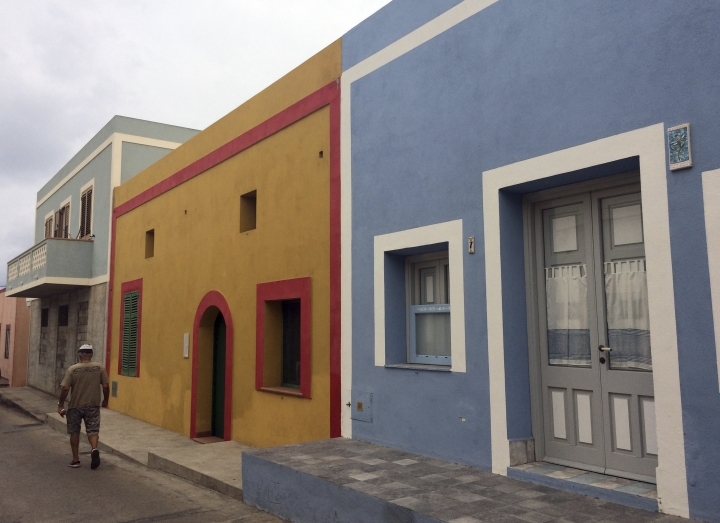 After a couple of strolls in the few streets, visitors can befriend much of Linosa's population. "After a few days, you become islanders, too," said Alberto Ramirez, who runs one of the two B&Bs on the island and whose family has lived here for six generations. Linosa's only "night spot" is a wine bar, which, on a late summer Saturday night, closed up shop before midnight. Ramirez recalled a couple who lodged by him recently telling him, "'Linosa's not for us, it's too tranquil.'" "Here you come to relax, go to the sea, maybe have an 'aperitivo' in the evening," Ramirez said. "There's no disco." Only residents can bring cars on the island during summer, but motor scooters and motorized bikes can be rented by the day. The electric "bici" are a big hit as well with Linosani, whose cars are easily recognizable because the salty sea air corrodes the paint. After Linosa's first modern settlement was established, in 1845, with 30 hardy souls, the islanders would eat the birds' eggs, rich in protein. Now the birds' evening rituals help feed the island's economic mainstay, tourism. 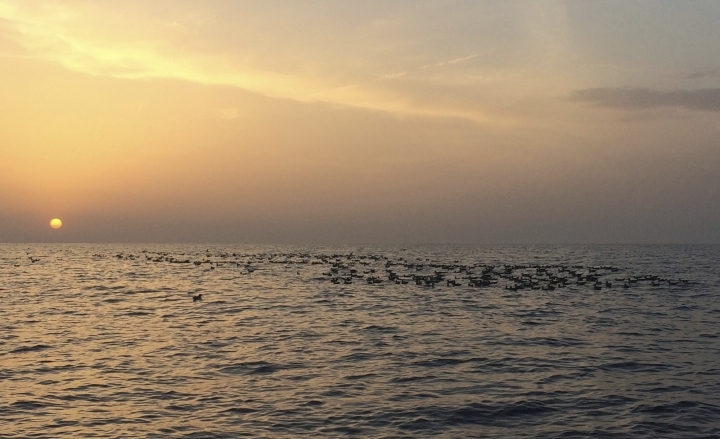 Giovanni Grana passionately shares with a handful of tourists on his plain wooden motorboat the details he's learned about shearwater flocks habits from his nightly observations. He makes the facts of bird life sound like poetry. 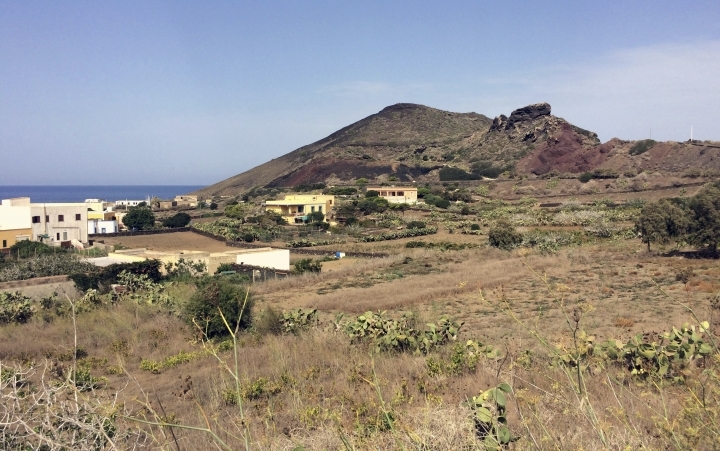 "My aim is to make the tourists fall in love with the island," said Grana. Like commuters crowding their route home, the shearwaters skim the sea in ever increasing numbers to form "clans" that then link together in what the Linosani call "rafts," creating a sort of a highway of birds stretching to what seems to be the horizon to await darkness before making landfall to check on their chicks. On my last morning, as I climbed 187 meters (600 feet) to the top of the Mount Volcano crater, church bells clanged to gain islanders' attention. Then a booming voice informed them by loudspeaker that with the mid-morning hydrofoil an internist would arrive, for anyone needing a doctor. I would shortly be leaving Linosa, which had seduced me with its naturalness and friendliness, on that same hydrofoil, at vacation's end. When I reached the dock, some 150 day-trippers poured out of the boat. I promised myself I'd be back when I could again have Linosa practically all to myself.